At Robinson Manufacturing, we achieve quality by making excellence our standard across the business. The company’s open approach and strong team ethos allows individuals and teams alike to take personal accountability for doing a good job every time. Many of our team have been with us from the start, giving our customers the advantage of their experience as well as continuity in relationships. This underpins the quality our customers experience. Ongoing investment in developing our infrastructure, people and equipment means we are able to offer professionally engineered products every time, to consistently accurate quality for any volume. 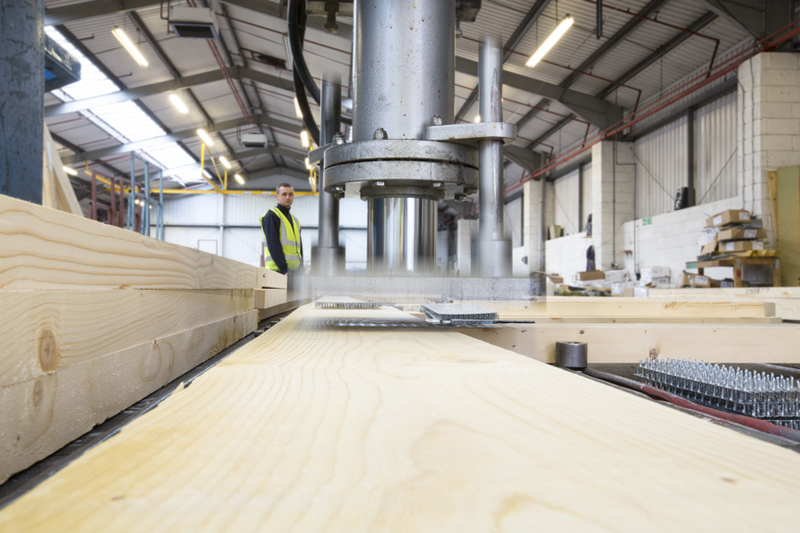 Our equipment is environmentally efficient to ensures minimal waste of timber and we recycle offcuts on site. Using our own vehicle fleet and drivers experienced in loading storage and handling, we are able to distribute our engineered products nationwide while avoiding product and site damage and minimise on-site safety hazards. Innovation in design, engineering and business as well as manufacturing processes gives us a clear competitive edge. From the expertise of our design team, a recognised centre of excellence, through the development of new products like metal web joistsand on to process engineering on the factory floor, Robinson Manufacturing is a commercially sensible choice.